Since its launch as an E-Reader device by Barnes & Noble the Nook Color has become the device of choice for modders and hackers worldwide , who transform the device into a cost effect Android tablet. Now the team over at XDA-Developers have made it even easier for you to enjoy both sides of the Nook Color device enabling dual booting between the Nook’s primary E-Reader OS and Android using Nook2Android. The Nook2Android software can be downloaded and install or even purchased on a handy microSD card making it a snip for Nook Color owners to now enjoy both sides. The new dual boot Nook2Android support allows users to drag and drop files from the variety that are available including: CyanogenMod with optional tablet optimisation features, and the sleek MIUI Android ROM. You now will have the option of booting into the Nook OS or Android when you turn on your Nook Color. Without the need to remove the Nook2Adroid card to get back to the stock Nook OS. Brilliant! 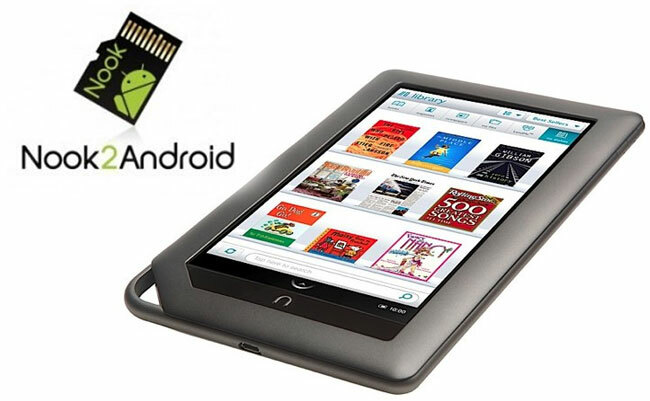 For more information jump over to the Nook2Android website to purchase or download the dual boot files.